When architect David Rockwell started spending time in playgrounds with his young children, he was disturbed by the lack of imagination and variation in the way kids interact with standardized playground equipment. 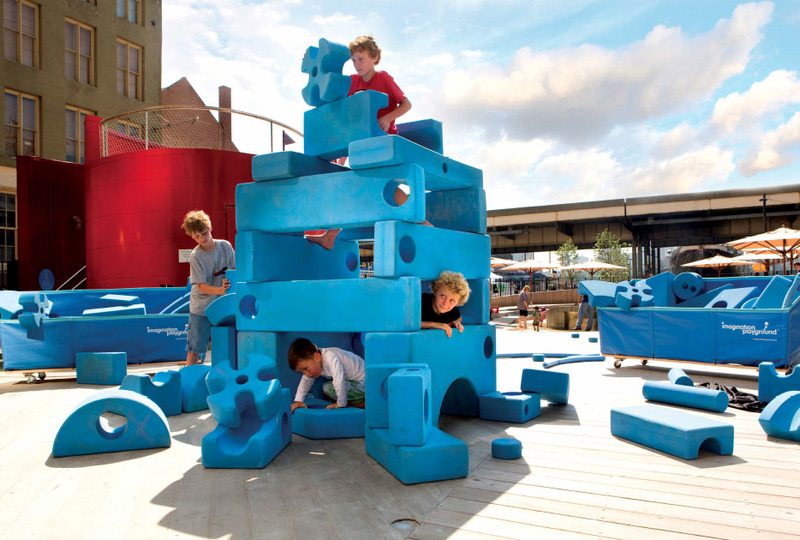 He spent five years developing the Imagination Playground, seeking private-public partnerships to see it realized. Inspired by Froebel blocks and adventure playgrounds, the Imagination Playground features a wide range of elements that allows children to create their own environments and their own course of play. Since the first Imagination Playground opened in Manhattan (with the support of several city agencies), Rockwell has developed a more portable, scalable version – packed into a cart or box – that can quickly transform small, unused spaces into dynamic playgrounds. It has been deployed in hundreds of locations worldwide, including Haiti and Bangladesh.